So this Xmas we went to Paris. First of all, it’s a city my sons had never visited before, I’ve studied there for a few months, and I absolutely love it. Second, they’re starting to learn French at school, so an excellent way to get familiar with the language and culture. And finally, because it’s PARIS, the city that makes believe in love, so that’s more than enough reasons for me. Here’s a few tips for romance in Paris for two. Altough I don’t like to admit it, I still find it scary to go on holiday alone with my kids. I say to myself “you can do this”, and I try to transmit as much confidence as one possibly can, but sometimes it’s not that simple. However, travelling with your family is one of the best experiences for me, especially with my kids. Some people say, they won’t remember when they grow old, and whether that’s true for a four-year-old, at the age my kids are now, ten onwards I know that they’ll remember it plus I do think it’s the best way to open their heads and hearts. I must say that the terrorist attacks did put us off at some point, since what we’ve seen on TV is so present in our minds. However I’m a believer that life is a daring adventure, and we must fight our fears, as much as we can. I’m not saying that we should put our kids in danger, of course, but for me, it’s important to show them the world, instead of merely telling them about it. I believe travelling helps you to feel empathy towards others and helps kids understand that some people don’t get an easy way in life. Also you learn you shouldn’t judge people by their appearance. It also makes kids more conscious of the differences in the world, how big it is, how many different people are out there and other things you can’t understand in books, you have to see it for yourself. We’ve been lucky, to have a safe, enjoyable experience in Paris, yet of course, you should always use common sense and your sixt sense. 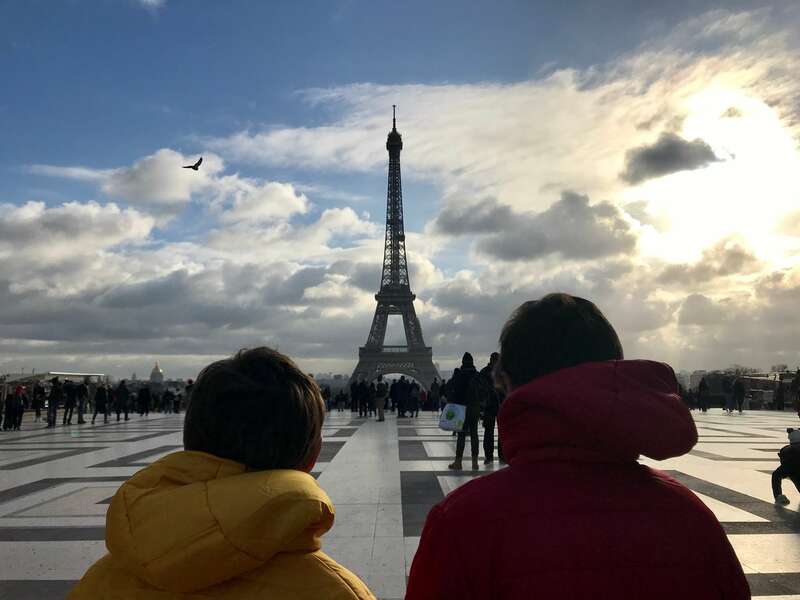 Where to stay in Paris as a single parent? One of the most recommended hotels for kids was Le Bristol but paying so musch money per night was out of the question. 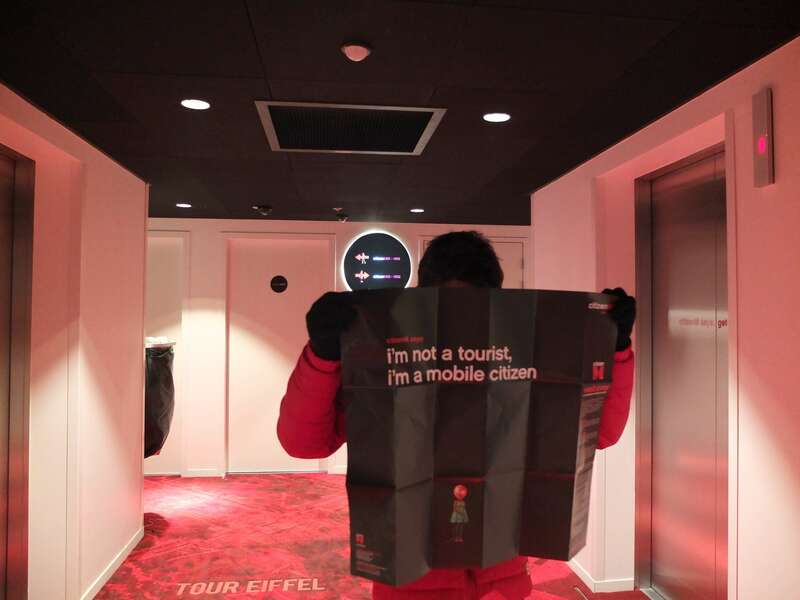 What to expect in citizenM? To have fun! 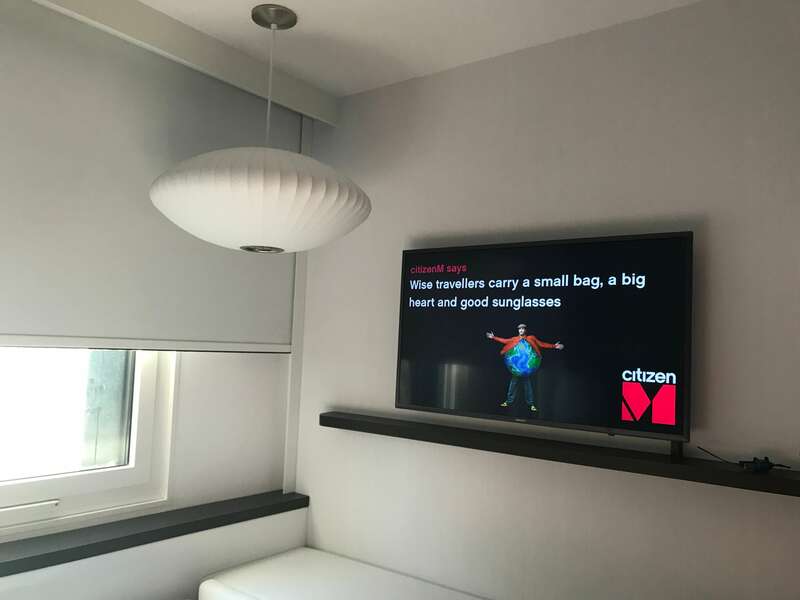 You’ll get KING XL beds, rain shower, free movies on demand, iPad to control bedroom, mood lights, stylish design and decor. The lights installation at the entrance hall was love and first sight. The whole staff is lovely including a Portuguese (unfortunately you don’t remember his name) who was super friendly with us. Breakfast is excellent, the best-scrambled eggs of my life, fresh red fruits and delicious detox juices. You can pay individually for each item if you don’t want the full breakfast, so pay for what you eat is a great option. We felt home, well looked after and with the luxury of a top hotel in a lovely location, right next to Gare de Lyon and Austerlitz, very convenient. 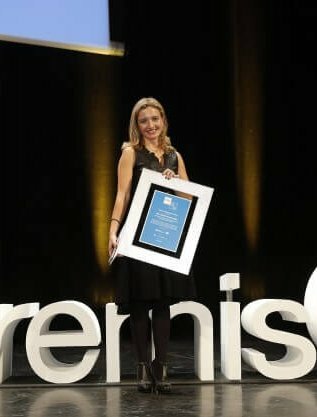 How to get from the Orly Airport to the hotel and vice-versa? You can get a bus plus train to Gare d’ Austerlitz, but there’s a fixed rate of 35€ by taxi, so we took that comfortable choice. 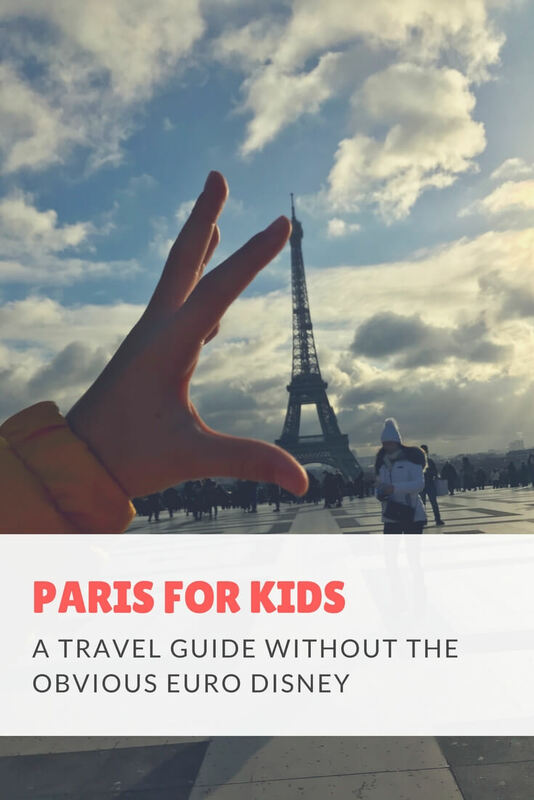 What to do in Paris with Kids? Forget Euro Disney unless it’s their dream destination, if so go there and stay there the whole time, don’t even bother with the rest. 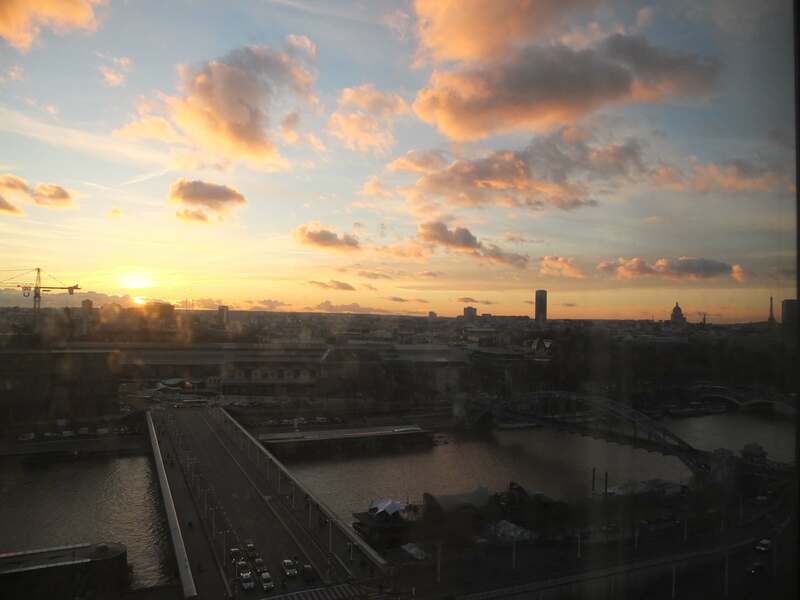 But if you want to experience true Paris, stay in the capital and live the most of it. 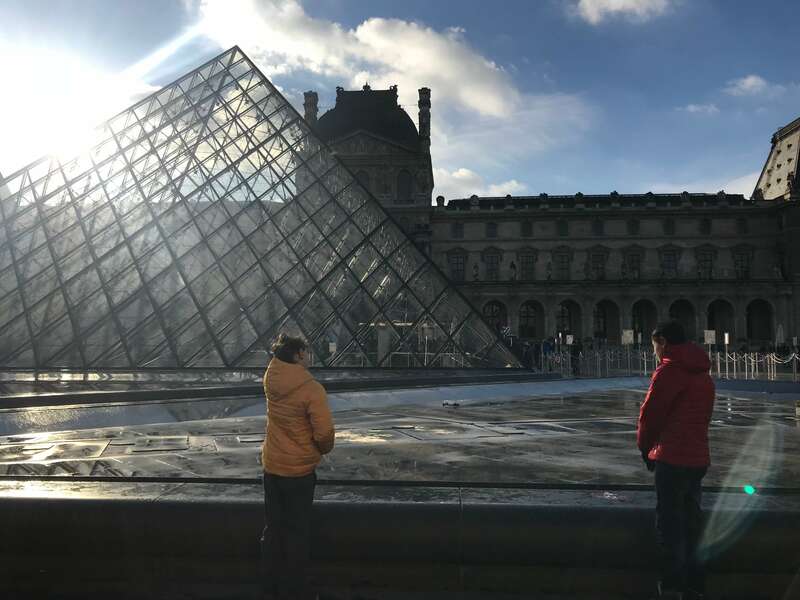 What can you experience in 2 days in Paris with Kids? 1- Go to a typical bistro and enjoy the French food. We went to Chez Janou, and it was really good, just make sure you make a reservation before. 2- Eat a Nutella crepe in the streets and watch them folding it. 3- Stop and listen to the street musicians, they’re usually super talented. 5- Ride on one of the Belle époque Carrousels spread around the city to feel the magic. 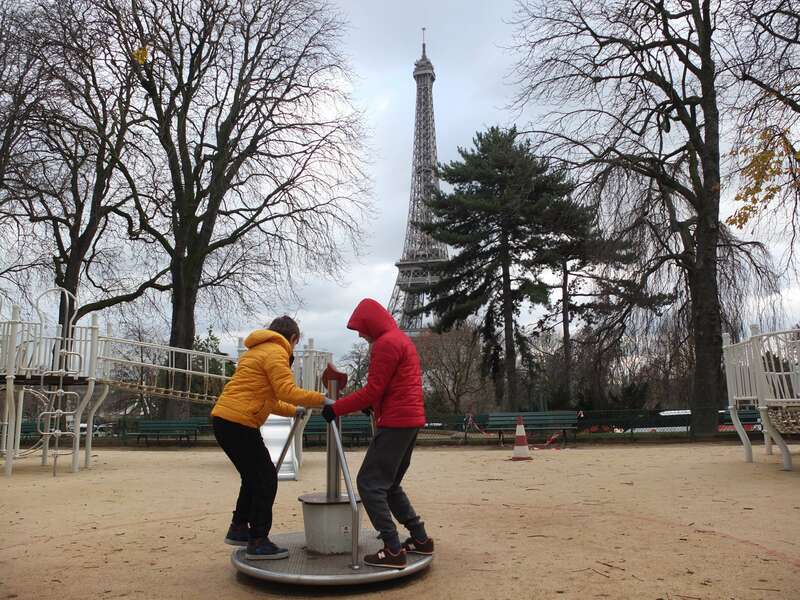 6- Play in one of the city parks, as the one next to the Eiffel Tower which is great. 7- Taste a macaron or a cake in La Durée. 8- Have a croissant in a historical café like Les Deux Magots and watch the world go by. 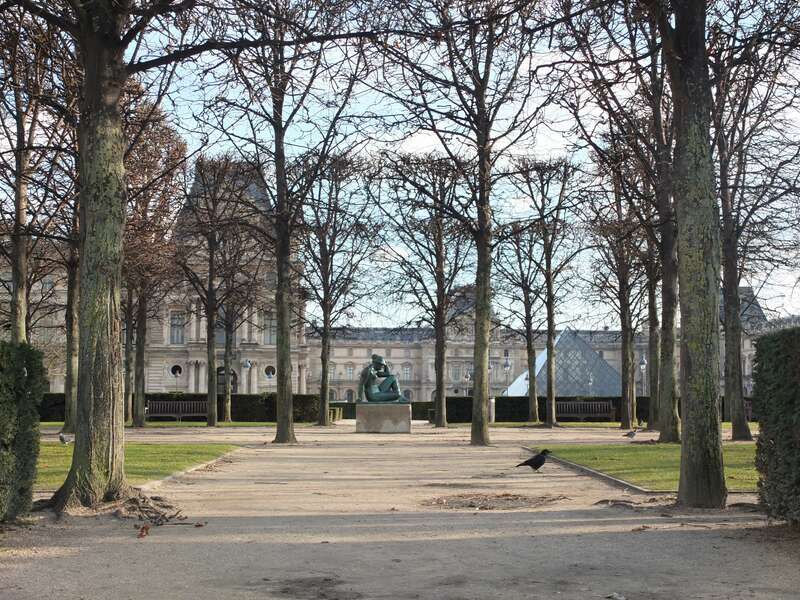 9- See the crows in the lakes of Tuileries gardens. 10- Go window shopping in Galeries LaFayette. 11- Take a bus tour in Paris and learn a bit of history. 12- Have a special night out – choose karaoke, bowling, cinema, theatre…We went to Hard Rock Café Paris. 13- Meet the locals. 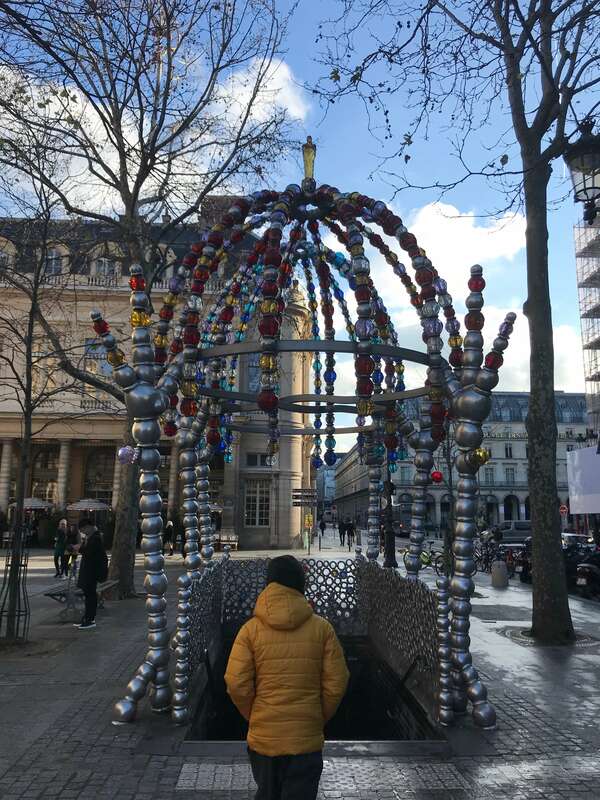 Here’s a nice tour for Kids in Paris with locals. 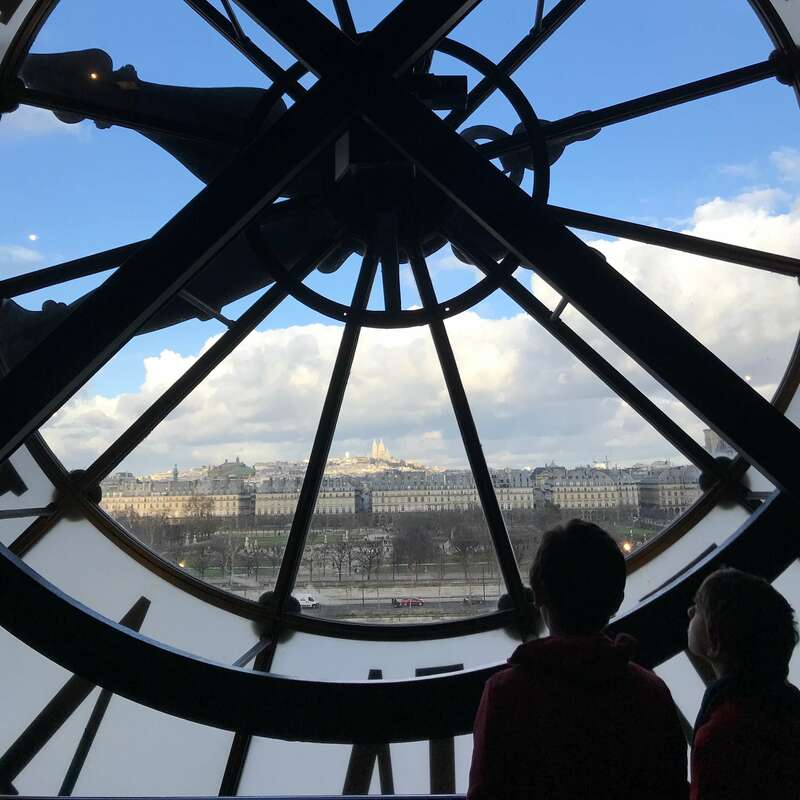 16-Visit Orsay Museum – next time they speak at school about Rodin, Monet, Renoir, Degas, Van Gogh, Matisse, Gaugin, it will ring a bell. 17- Walkaround. Visit the île de la citê to see the Notre Dame and to Montmartre to see the Sacré Cour. 18- Watch someone painting art in Place du Tertre. 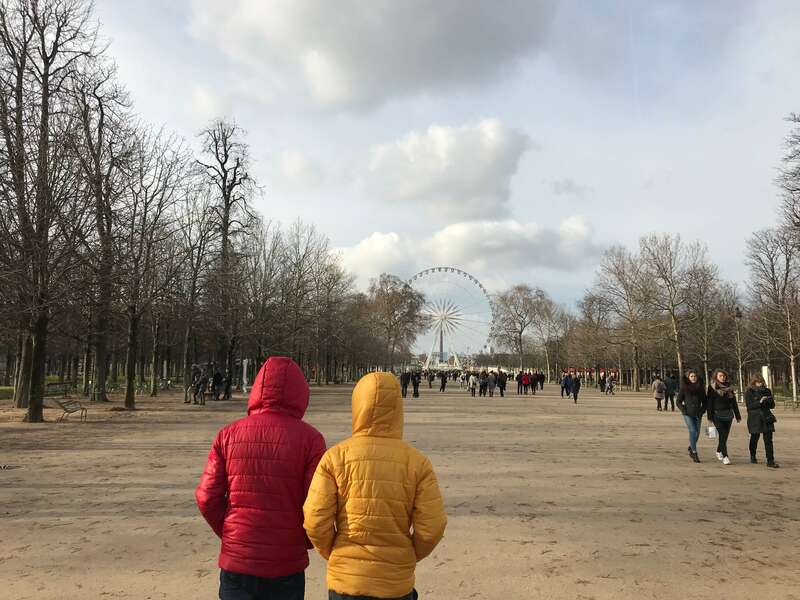 If you go on winter to Paris, make sure to take leggings for kids to dress under their trousers. Dress them in scarfs, hats and warm jackets. The best of visiting Paris in winter is fewer crowds and no waiting in lines anymore. Show them how to buy metro tickets and find their way to a metro station, it will be useful for their future! One of the best nights we had was meeting some friends we have in Paris. Travelling is always better when you meet nice people. Parisians, contrary to the common belief, were super friendly, from the taxi drivers to the locals in the streets, to the waiters in restaurants. From Paris we bring stories, we bring pictures but most of all we bring the strength of travelling as a family. The best Xmas gift is creating good memories together! Merci Paris and Merry Xmas 2017! If you like this blog, give me the gift of subscribing it. I don’t write as often as I would like so don’t worry, I won’t fill up your inbox…:) Enjoy the Xmas Holiday!